Boasting water sport facilities and free bikes, K Villa Maldives is placed on secluded, sandy beach of Mahibadhoo. Its air-conditioned guestrooms come with a flat-screen TV and an en suite bathroom. Boasting water sport facilities and free bikes, K Villa Maldives is placed on secluded, sandy beach of Mahibadhoo. K Villa is set in a Maldivian local community with access to experience the day to day island life but with the privacy and the modern facilities of your own villas. 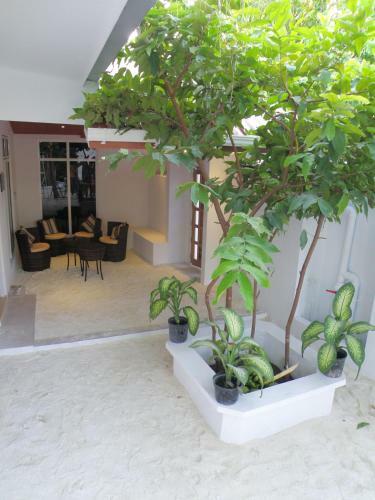 Hotel K Villas Maldives Mahibadho, overview, photos, location, rooms and rates, services and facilities, cheap rates reservation.